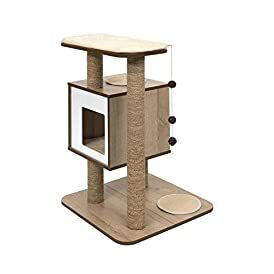 Cats in Cubes modular cat furniture provides the ultimate playground for your cat. 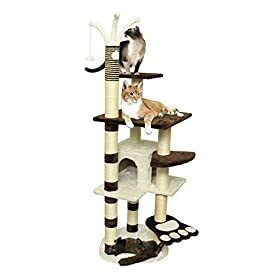 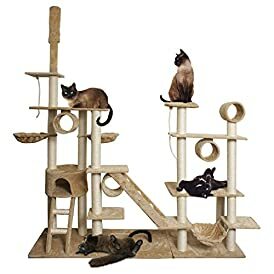 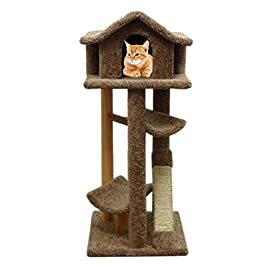 With multiple configurations, you can customize the best layout for your cat and can even connect additional kits to create a giant cat play-house. 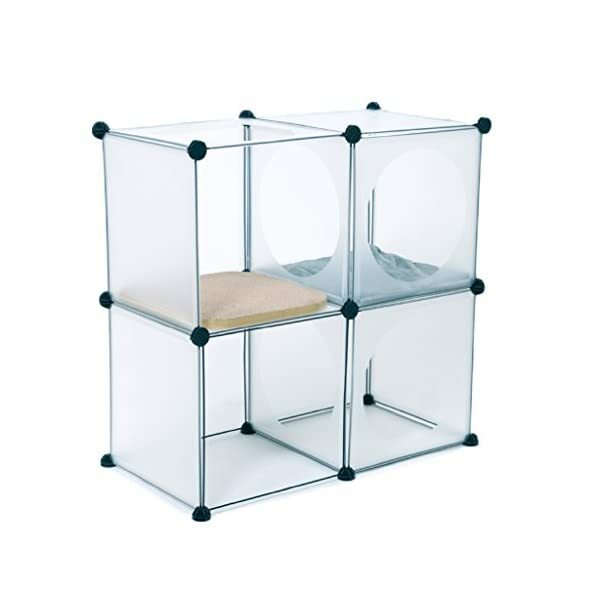 Cats in Cubes has a sturdy metal frame and the cubes are made of durable plastic surfaces that can easily be cleaned with a wet towel. 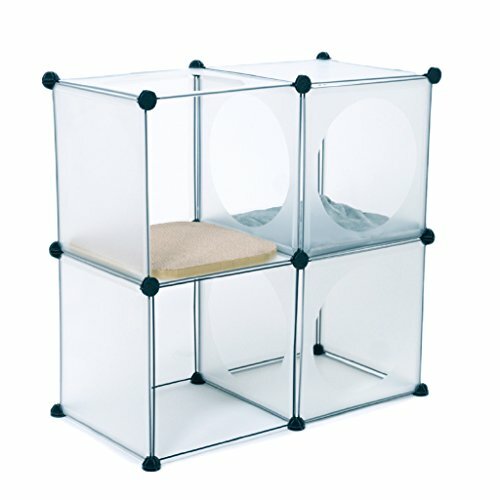 Cats in Cubes is lightweight and easy to move, yet sturdy and stable up to 40 lbs. 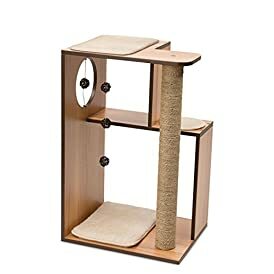 It is easy to put together and no tools are needed for assembly. 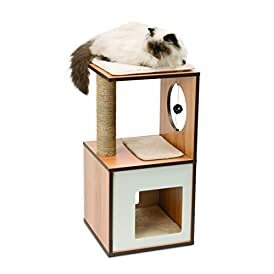 Cats in Cubes comes with four 12″x12″ cubes, one bed, one scratcher, and one hammock.